We’ve been so busy with professional activities since coming to Seoul that we’re way behind on our vegan noms. I really really like bibambap, but I’m telling you, having frequent business lunches and dinners at non-veggie restaurants has resulted in seemingly endless servings of bibimbap this first week-and-a-half in Seoul. Thus, Sunnie and I were super excited and surprised when on a recent business lunch, our party marched right past the bbq restaurants and up to Gam Ro Dang, a temple food restaurant. Gam Ro Dang was located in a small back street area, in the area right around Kyungokgoong Palace station. It looked like it was previously a house, and they had remodeled it into a restaurant. It had a very cute little front yard and it was pretty cozy. And you know what temple food means, right? It means vegan! Because we weren’t expecting a vegan lunch, we were a bit unprepared and had to rely on my ipod for the pictures, so it’s too bad that their quality aren’t up to par, because it was a beautifully presented meal! 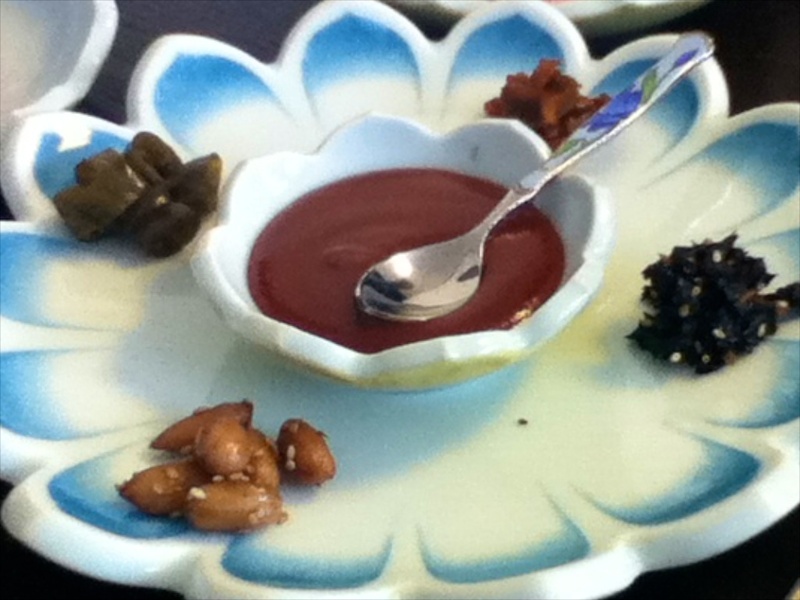 There was a pretty consistent lotus motif with much of the serving ware throughout the meal, reflecting the Buddhist temple fare. We started with a simple, fresh salad of a variety of greens, including mustard greens. 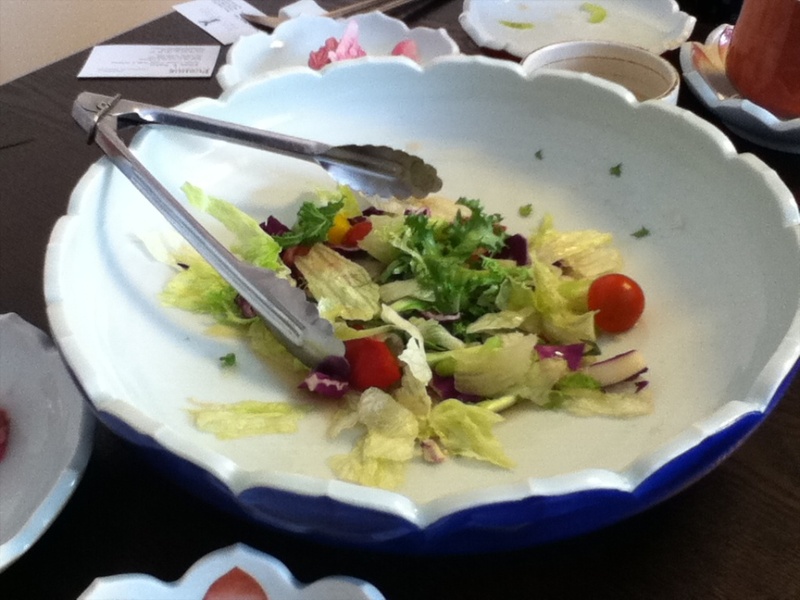 The salad was accompanied with a water kimchi made of cabbage. 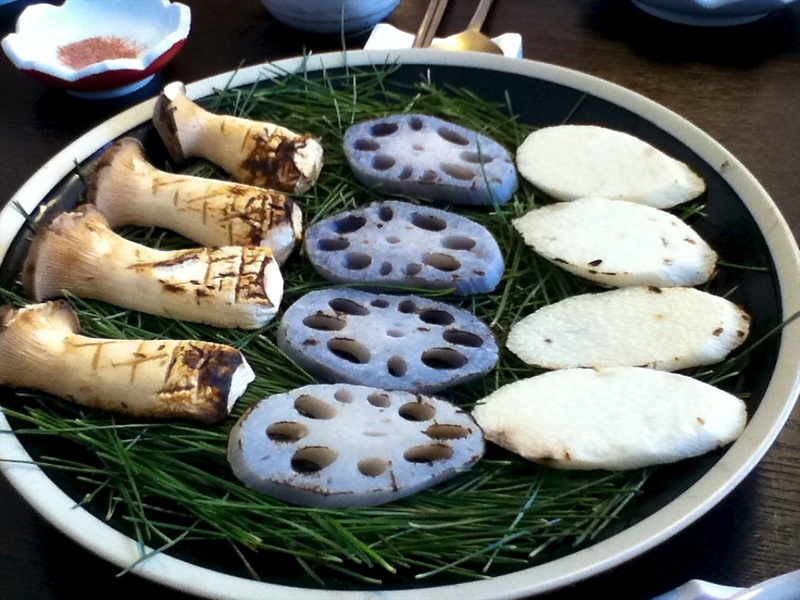 They also served grilled mushroom, lotus root, and ma, a Korean root vegetable. Isn’t it beautiful served on a bed of pine needles? To accompany these simply grilled food was a pink sulfuric salt to dip them in, giving a slight egg-y flavor. 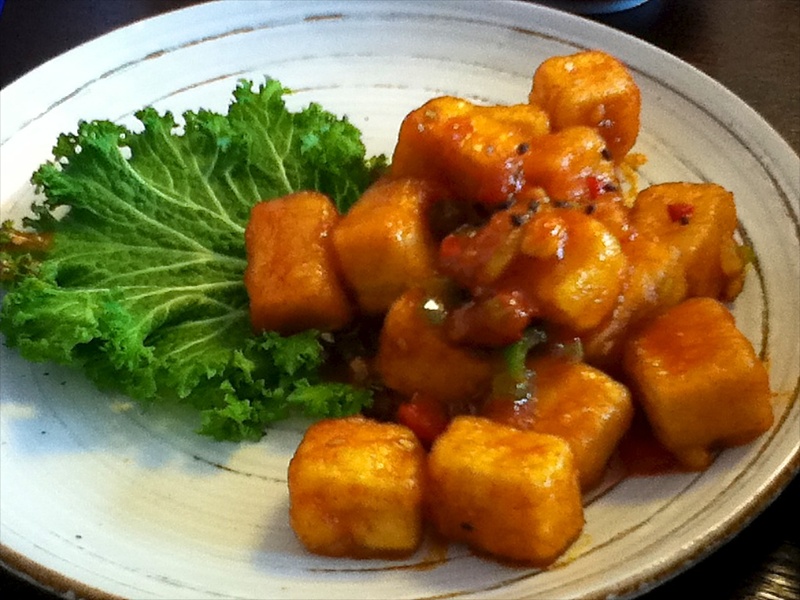 The next course was a fried tofu dish tossed in a mild, spicy sauce. 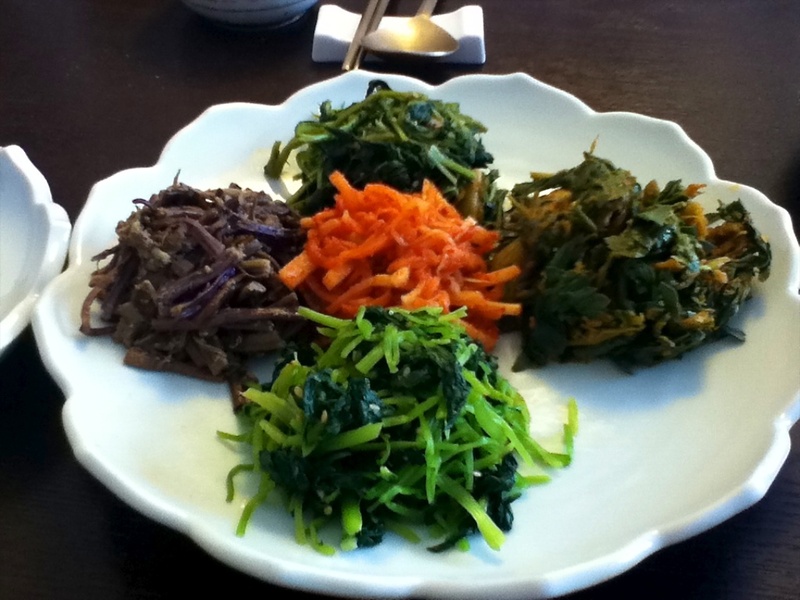 This beautiful dish was a variety of pancakes, including carrot, potato, radish, and seaweed. The carrot pancakes in particular were really, really good. Each course came out separately, so we were always eating something new but also several dishes at once as they would clear away dishes we finished and promptly bring out a new one. 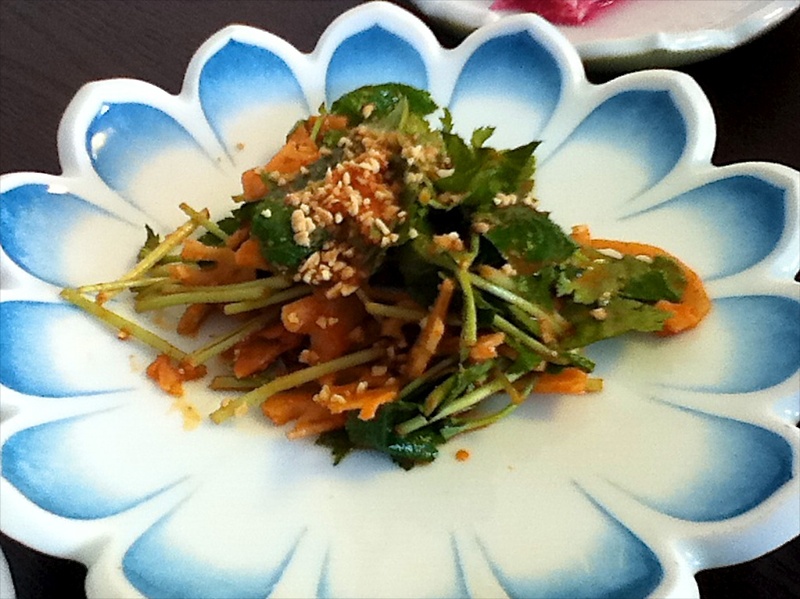 This was a kimchi dish of radish leaves and lotus root. And this sangchae dish, served on a kkaenip leaf, had Korean pear, cucumber, pine nut, cucumber, as well as deodeok, another root vegetable. And despite the abundance of bibambap we’ve been eating, I was happy to finish up the meal with a small portion. Well presented and served with gochujang. 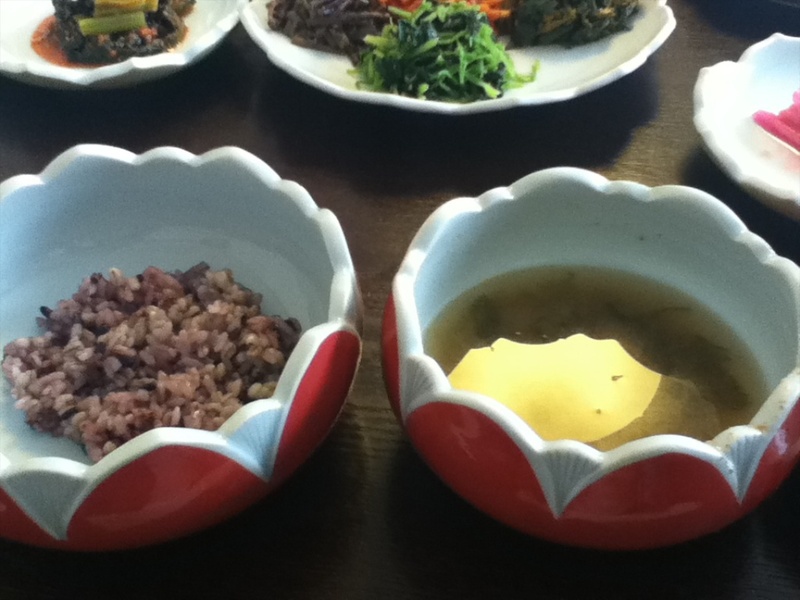 As well as a small bowl of doenjang jigae. 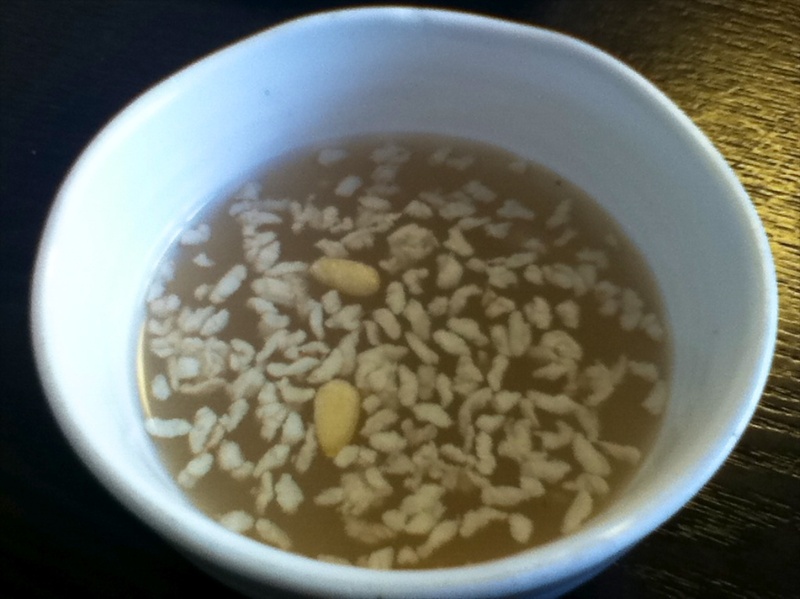 For dessert, we had sik hae, the yummy rice drink. And these simple pastries served with a ginger paste. We were so pleasantly surprised and looking forward to our next temple food experience! It all looks so beautiful! You must share the recipes for the pancakes and the various kimchis. It looks lovely and a little challenging to me. Beautifully presented, but some of it is the kind of food that I can’t really sink my teeth into, and so I feel like I’m failing. LOL. The mushrooms and lotus root in particular. Are these dishes for sharing, or individual portions? Some of it seems austere, and some of it overabundant. I just love the way everything looks so fresh and colorful, though. 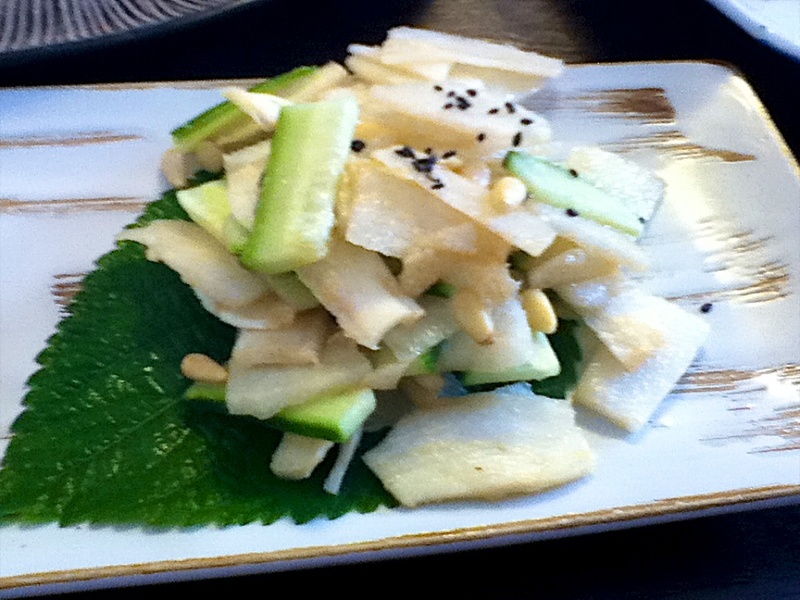 The salad of radish leaves and lotus root and the pear/cucumber dish following it are just so appetizing to me. And what cute, pretty pancakes. Yum. 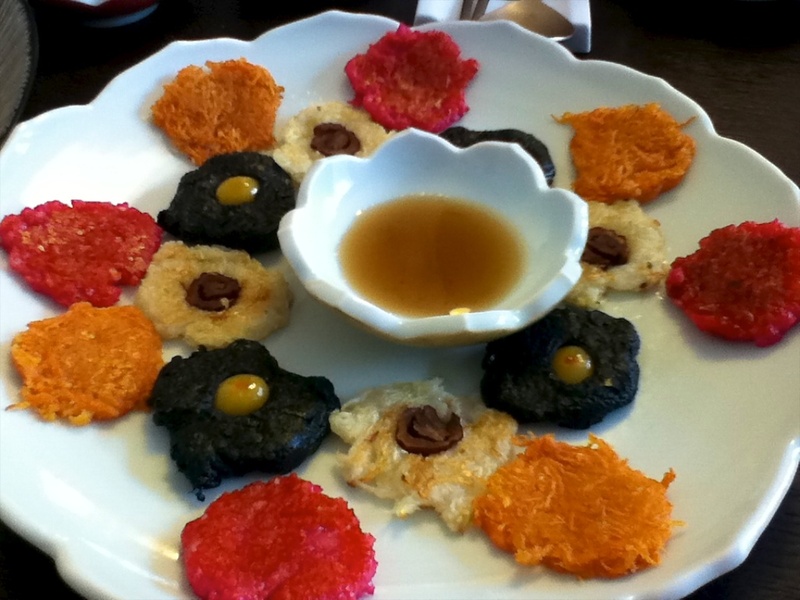 I’m going over to my Korean-cooking friends’ again this weekend and we are going to make a whole bunch of stuff, including kimchi (mmmmkkakdugi) and flower cookies; not yakgwa, but the kind that have edible flowers on top. Hwajeon. Hi, Lu! We’re so impressed with your Korean cuisine knowledge! 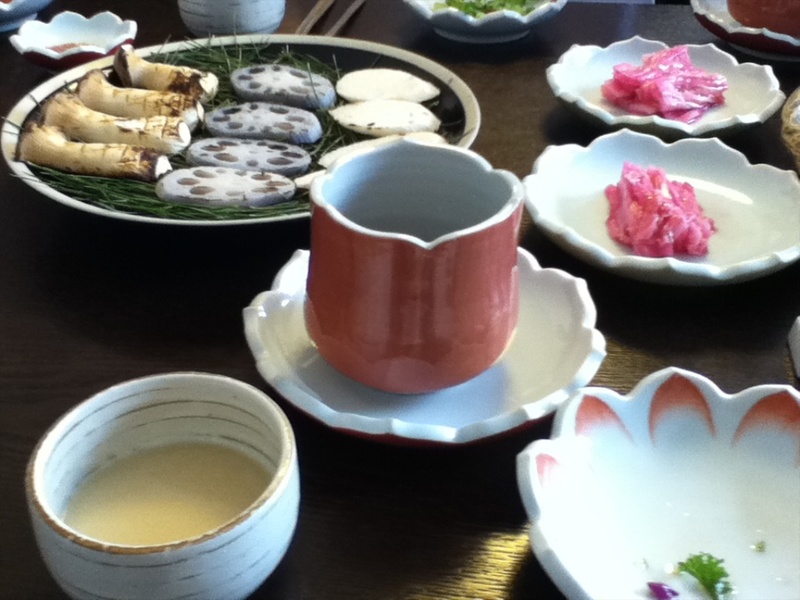 These dishes were all for sharing, with the exception of the doenjang jigae, bap, and the water kimchi. It was definitely a meal of more simple, as you say, austere, flavors. Even the doenjang jigae was a more simple flavor than you typically find. Hope you enjoy your weekend, sounds like fun! Hi, Bill and Sunnie! I see you have a new post up, but I’ll respond here where it’s on topic. Thanks for your reply! The kimchi-making went great. I think it’s even better this time, except it needs more salt. I think I’ll add some today. It should probably be okay since it’s only one day since we made it. Whatcha think? 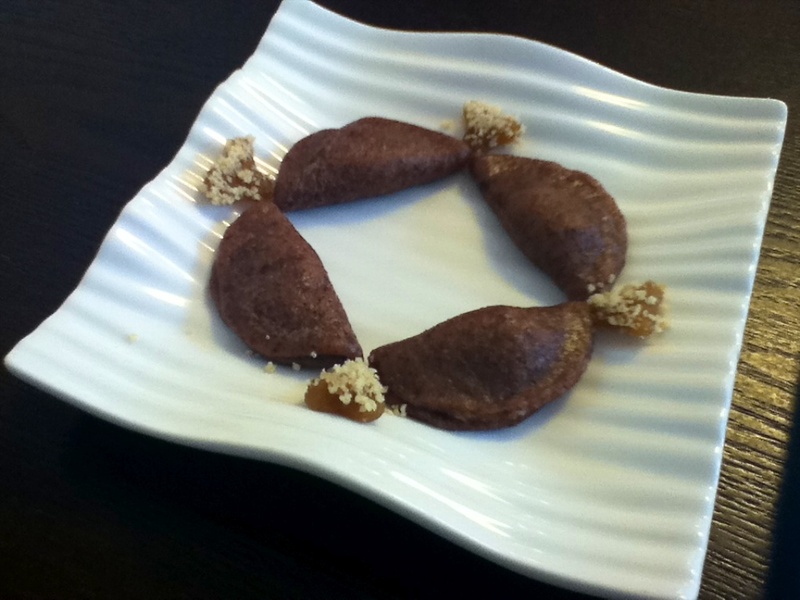 The hwajeon were not very good, possibly because we’d never made them before and none of us had ever even eaten them, so we didn’t know what they were supposed to taste like. 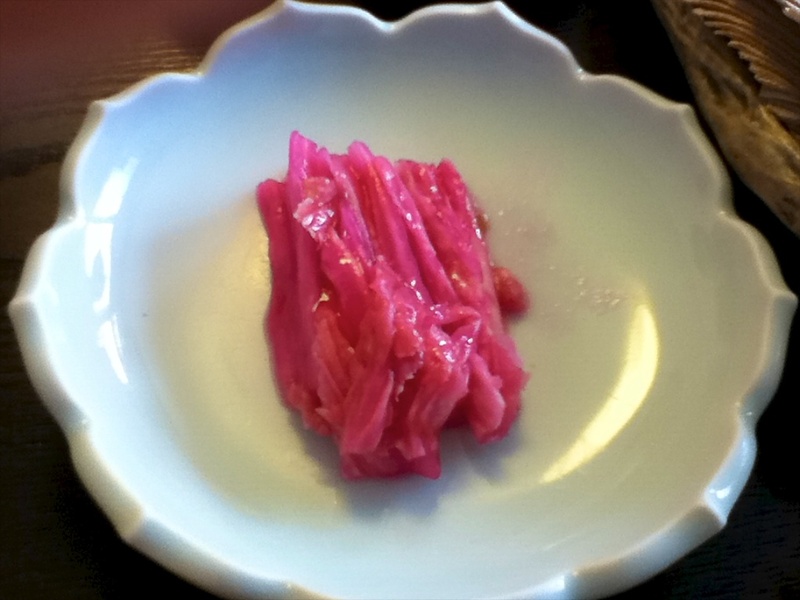 As non-Korean Americans, we’re not used to cooking with chapssal-garu, so who knows if the texture was supposed to be so gummy. LOL. I think it’ll be okay to add some salt, just be aware that you might have more water come out than normal. You might want to make sure to keep it in the fridge just in case!